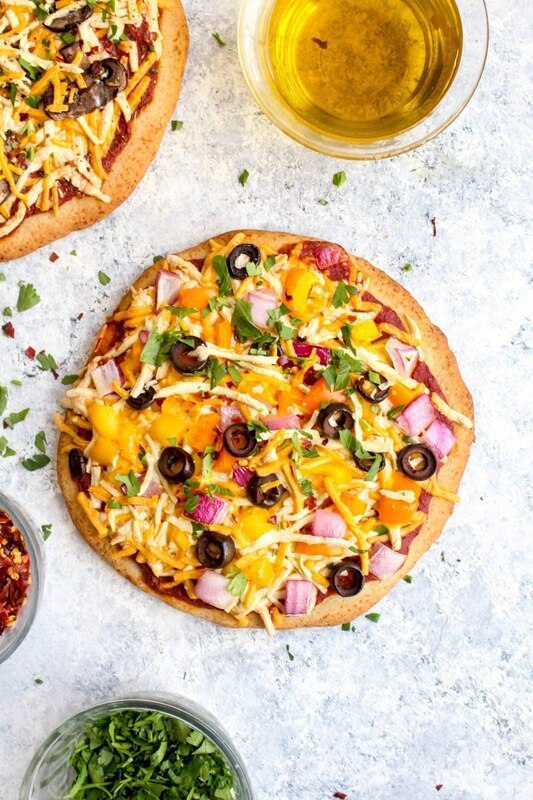 With 3 recipes for Freezer Gluten Free Vegan Pizza dinner is ready in 20 minutes! Try the BBQ Hawaiian, Mushroom Herb, or Veggie pizzas. Make the Gluten Free Pizza Crust according to the directions. Pat the dough out into 4 rounds and par bake according to the instructions. Set the par baked crusts on a wire rack while you prepare the toppings. Top the crusts first with the sauce then half of the cheese, the toppings, and the remaining cheese. Wrap each pizza securely in plastic wrap and then in aluminum foil. Place in the freezer on a flat surface until you are ready to use them. Preheat the oven to 425 degrees. Unwrap the pizza and place it directly on the oven rack. Bake for 20-25 minutes or until the crust is golden around the edges and the cheese is bubbly. Slice and serve!